SnoreLab has helped many thousands of people address their snoring problems. But how? The app isn’t designed to cure snoring, but instead gives you an understanding of your snoring problem to help you find a suitable solution to improve your sleep. There are many effective ways to reduce snoring from specialist products to exercises, but different approaches work for different people. By measuring changes in your snoring intensity between nights with SnoreLab, you can try different methods and hopefully discover one which works for you. Crucially, SnoreLab also allows you to hear what you sound like so you don’t just have to take your partner’s word for it! We find this can be a dramatic revelation which spurs you to take action. Here, we’ll guide you through getting the most from SnoreLab so you too can take control of your snoring. 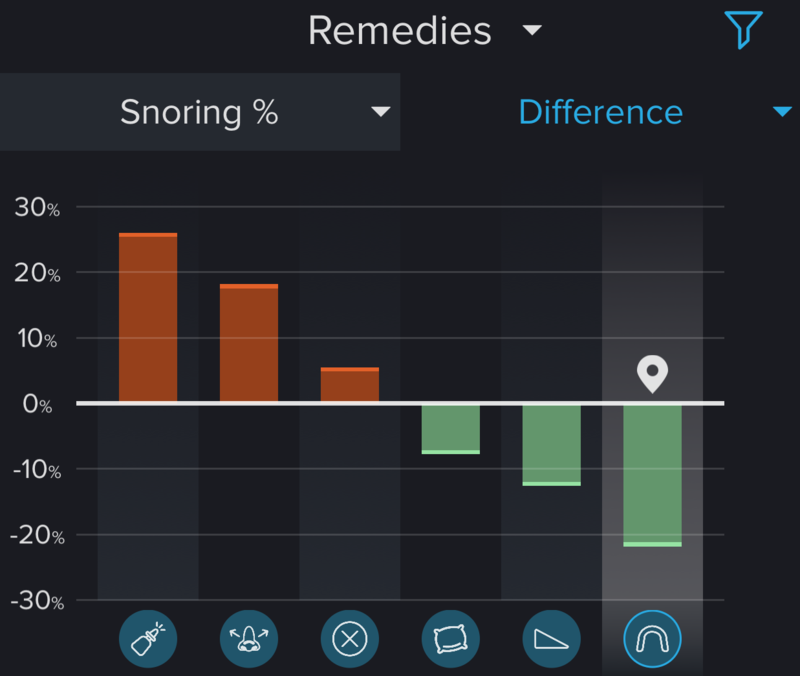 The Snore Score is SnoreLab’s unique measure of snoring intensity. 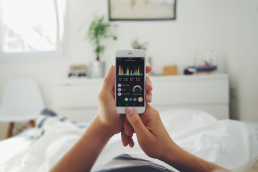 More than simply reporting back a few volume readings, our Snore Score takes into account those different volumes and how long you spend at each level. The Snore Score is different from snoring percentage which is a measure of the proportion of the night spent snoring. Therefore the Snore Score can exceed 100 – we have even heard cases of users scoring more than 300! Should I be worried about my results? If you’ve got a high score, this is no reason to panic. Snoring is not necessarily harmful, at least physically speaking. If your snoring is putting a strain on your relationship with your bed partner, this is when it can become an issue; you don’t need a Snore Score to tell you this. But when does snoring become damaging to your physical health? If snoring develops into obstructive sleep apnea, your physical health is at risk. This is because sleep apnea is a serious condition where your airway repeatedly closes whilst you sleep, depriving you of oxygen and putting stress and strain on your heart and other body systems. Whilst louder snoring is a key sign of sleep apnea, a high Snore Score does not mean you have the condition. If you are suffering from sleep apnea, you might already be aware of it based on your symptoms. Excessive daytime sleepiness, mood swings, never feeling fully rested after sleep, as well as headaches and sore throats are big red flags. If you feel physically fine and your Snore Score is high, chances are, you have nothing to worry about. What’s an average Snore Score? The median Snore Score for our users is around 25. A score above 50 puts you in the “bad snoring” category, and if you’re above 100 you definitely need to find some solutions! Everyone is unique, so whilst it’s not best practice to compare yourself to others, we believe a Snore Score of 10 or under is a good target as this is unlikely to disturb you or your partner. So I’ve got a Snore Score – now what? 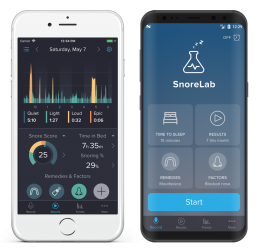 SnoreLab gets more effective over time when you have multiple sessions with many Snore Scores to compare to one another. Your first night’s score is your benchmark. From here onwards, you can see how your score varies from night to night based on the changes you make. If you’ve got some snoring remedies you want to test, or suspect certain factors could be triggering your snoring, make sure to select them at the start of your session. When trying a new snoring solution, it’s important to see whether or not it works for you. Hopefully, you’ll start to see your Snore Scores declining. If you do, great; you’re well on your way to addressing your snoring problem. If not, this is still a result as it’s also important to know what doesn’t work. There are things that you wouldn’t normally associate with snoring, like having a shower or bath before bed, or eating a heavy evening meal. When it comes to snoring, little things add up. In time, you’ll hopefully see patterns start to emerge and you’ll have an idea of what can help. There are lots of different things that can help or hinder your snoring, some of them rather strange or unique to you. We don’t cover everything in our remedies and factors list, so why not add your own? 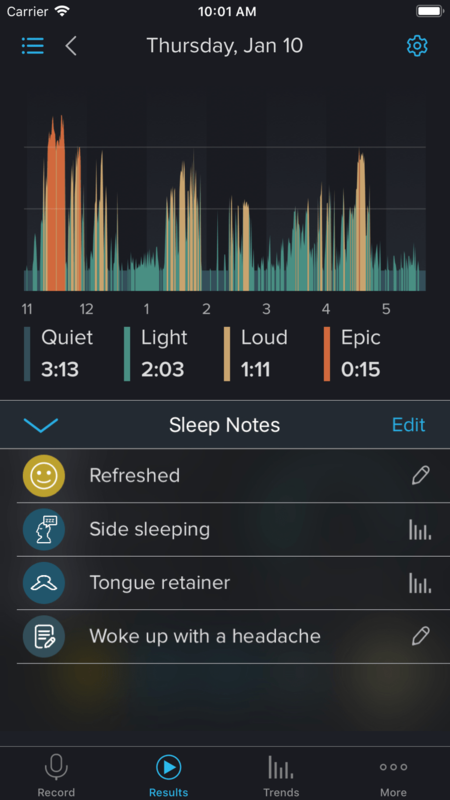 Anything that you think is relevant to your snoring and sleep quality is worth making a note of in SnoreLab, either by creating a custom remedy or factor or writing your own detailed notes. Notes can be extremely helpful if you are trialling different foods in the evening, noticing certain symptoms, or making adjustments to things like head elevation, mandibular advancement or CPAP pressures. It can also be useful to make retrospective notes on the night: if you woke up with a sore throat or headache, if you had to urinate multiple times during the night. Also remember to select a rest rating to see if your snoring correlates with how good you feel in the morning. The more detailed you are, the better picture you can construct of your personal triggers and solutions. SnoreLab’s Trends page is where you can really see if the changes you make are helping your snoring or not. This is where all of your sessions, remedies and factors are summarised and collected into one view. The top chart gives you the option to view your history of all measurements made in the SnoreLab, as well as the remedies you’ve used and the factors you’ve selected. This screen contains a lot of information, so it’s best to explore it yourself. If you are experimenting with lots of different snoring aids, makes sure to select Remedies and compare the Difference. Red suggests the remedy isn’t working for you, green can mean you are on to a winner! Can SnoreLab tell me if I have apnea? This is a question we get asked a lot. Some users have discovered sounds in their recordings that indicate apneic events, and have then found them useful in subsequent medical consultations. For many people, this has helped flag sleep apnea they weren’t aware that they had. However, it’s important to note that the app is not an automatic sleep apnea detector. Sleep apnea is defined by apneic events. These are periods during sleep where breathing stops for at least 10 seconds. Whilst this has a typical sound profile which SnoreLab could detect – normal breathing followed by at least 10 seconds of silence and then a gasp or choke – apneic events are not actually defined by sound. An apnea is identified by measuring both breathing effort and airflow (or lack thereof). A drop in blood oxygen saturation helps to confirm this apneic event. This requires specialist equipment beyond the reach of a consumer app so can only be done in a sleep study. In SnoreLab, you can search your session for risky sounds using Full Night Recording mode to ensure that every sound and event is captured. If you are concerned about sleep apnea, make sure to read our articles on the condition, as well as checking your risk with some screening tests such as the Epworth Sleepiness Scale and the StopBANG questionnaire. I don’t know why I snore – where do I begin? If you have no remedies to test as you simply don’t know where to start with your snoring, SnoreLab’s insights can help. Every cause has different solutions. So whilst a mouthpiece may work for John Doe, it may not work for you. Because snoring is more complicated than many of us appreciate, one thing alone might not completely cure your snoring.